Ten years ago today investment banking giant Lehman Brothers collapsed, turning a smoldering economic slowdown into the worst recession in modern American history. In ... Maggiori informazioni 2008, Federal Reserve officials gave many reasons why they were unable to save Lehman Brothers—the bank’s collateral was inadequate, they lacked legal authority—but the result wiped out an institution with $619 billion in assets, the largest bankruptcy filing in U.S. history. Experts estimate the the collapse and its ripples cost the American taxpayer more than $1.4 trillion, a burden that was shouldered mostly by the poor and working classes. Have we learned anything in the past decade? 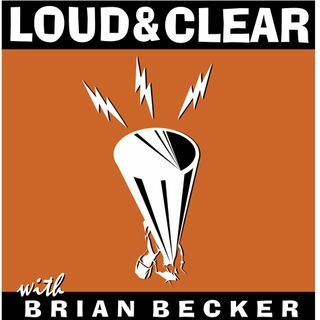 Friday is Loud & Clear’s regular segment on the midterms, taking a look at political races around the country in the runup to midterm elections in November. Jacqueline & Abdus Luqman, the co-editors-in-chief of Luqman Nation, which hosts a livestream every Thursday night at 9:00 p.m. on Facebook, join the show. Hurricane Florence made landfall in North Carolina last night at a crawling pace and with overwhelming storm surges. Florence is weaker than many experts expected. There won’t be a lot of wind damage. But there will be flood damage. And many residents of North and South Carolina are simply unable to purchase flood insurance. We’ll look at why. Antony Loewenstein, a journalist who is the author of “Disaster Capitalism: Making A Killing Out Of Catastrophe” and the co-producer/writer of the documentary film, “Disaster Capitalism,” joins the show. Pima County, Arizona, like many border counties, has had a policy of requiring local law enforcement officials to cooperate with Immigration and Customs Enforcement, or ICE, in the detention of undocumented immigrants. But that is changing. Pima County has now become the first border county to refuse to cooperate with ICE. Isabel Garcia, co-founder of Coalición de Derechos Humanos, joins Brian and John. Californians in November will vote on Proposition 10, a measure that would allow localities to create or extend rent control in some buildings. It would repeal the current law, called the Costa-Hawkins Rental Housing Act. Critics of the current law say that Costa-Hawkins encourages gentrification and pushes the poor, the working class, and even many in the middle class out of their homes as prices continue to skyrocket. Daniel Sankey, a financial policy analyst, joins the show. It’s Friday! So it’s time for the week’s worst and most misleading headlines. Brian and John speak with Steve Patt, an independent journalist whose critiques of the mainstream media have been a feature of his blog Left I on the News and on twitter @leftiblog, and Sputnik producer Nicole Roussell.